Pet shops have difficulty finding ways to market their business. 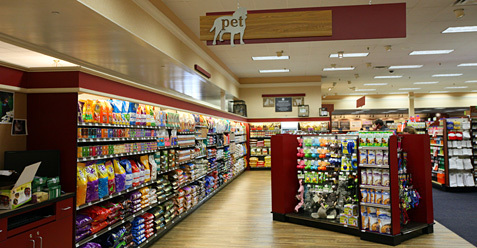 Oftentimes what works for a restaurant or a movie theater doesn’t have the same appeal coming from a pet store. Luckily pet stores have a new marketing guy in town. It is called text message marketing and in the last few years this form of marketing has certainly crept ahead of the game and become one of the most trusted sources of marketing around. There are a number of ways that a pet shop can use text message marketing to benefit their company. Here are some of the most common of those ways. If your pet store participates or supports local pet adoptions, text message marketing can be used to send notifications of pets available for adoption. If not you can use it to notify customers of the pet specials you currently offer. These are two very helpful ways that text marketing is helping pet stores. Customers who own pets know all-to-well how expensive their furry creatures can be. You cannot go wrong by sending a little bit of relief their way in the form of a coupon, promotion or a discount. Whether it is free online shipping, a free gift with order or a percentage off of the total order amount, sending such a great offer is sure to please all who are on your text message marketing list. Offer a contest with a really great prize and see how quickly the number of people who ‘opt-in’ for your offers will be. Everyone enjoys entering contests when it is a prize they want to win. Among the best ideas for a contest –signed memorabilia, electronics, cash and gift cards. Pet lovers want to know more about pets, and text message marketing can be used to get them this information. Whether you want to tell them more about a cat or a dog, a snake or a rabbit, your short message can peak curiosity and so much more. Whether it is a special puppy pageant, an informative seminar or some other special type of event, using text message marketing to make the announcement is a great way to ensure a successful event is had. What is on sale at your pet shop for the week? Telling your customers about these sales via text messaging can help you attract a large crowd you way. You have the chance to reach people who otherwise would not have saw your ad, thus minimizing the amount of business that you receive. Text message marketing works for pet shops because it is versatile, affordable and easy for all sizes business to use without hassle. Since only those who choose to ‘opt-in’ receive your messages you also save yourself time and money since you are not wasting time with those who do not want to be bothered. You can send text marketing messages as little or as often you want. As long as you have a valuable offer to send out there is no reason not to send your message their way. Studies prove that customers want to be contracted by text message and that they are much more likely to use an offer that has been sent to their mobile device. This means you should be sending your text messages out right now! Pet shops should not delay implementing a text message marketing campaign if it is not already in place. It is the way to market in 2014, and the marketing technique that can do big things for your shop.